While attending the Tiki Mâkeke at Don the Beachcomber we came across Aaron and Sarah from Calivore Spirits Co. Calivore brings us central California coast inspired spirits including the blonde rum used in this cocktail recipe. Notes of white wine, honey and apricot combine beautifully with fresh lemon, passion fruit and honey. What are you waiting for? 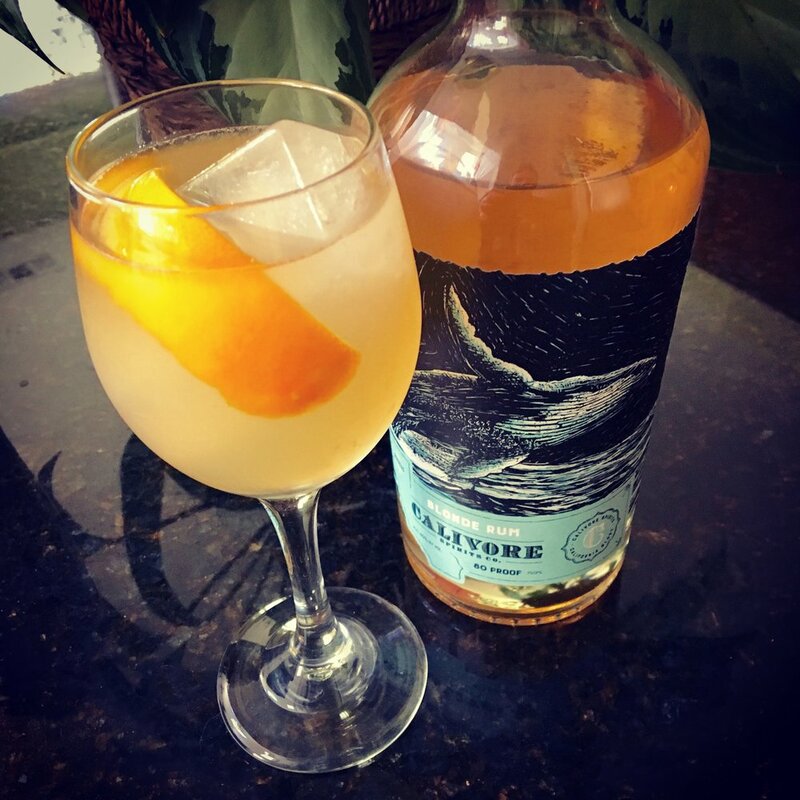 Get Calivore Blonde Rum and start mixing. Combine everything in a shaker with ice. Shake lightly and strain into a white wine glass with a single large ice cube. Twist a large lemon peel over top of drink and toss into cocktail. If you cannot find orange blossom honey you can substitute with standard honey and add two drops of orange blossom water.